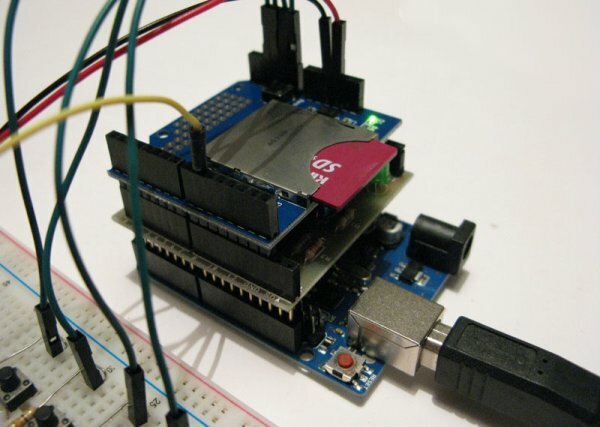 This is my first in a series of more advanced Arduino tutorials. Now that we’ve covered the basics in tutorials 1-10 (you have watched them all right!? ), it’s time to start pursuing some more complex projects! In this episode, we’ll utilize an SD card shield from cooking-hacks.com to create a datalogger. First, I’ll walk you through the process of reading from, and writing to an SD card. Then, we’ll utilize some of our knowledge from tutorials 4, 6, 7, and 8 to add several sensors that we can poll periodically using our datalogger. The logger will record sensor values to its SD card in a useful format so that we can later use a computer program like Microsoft Excel to visualize the data. 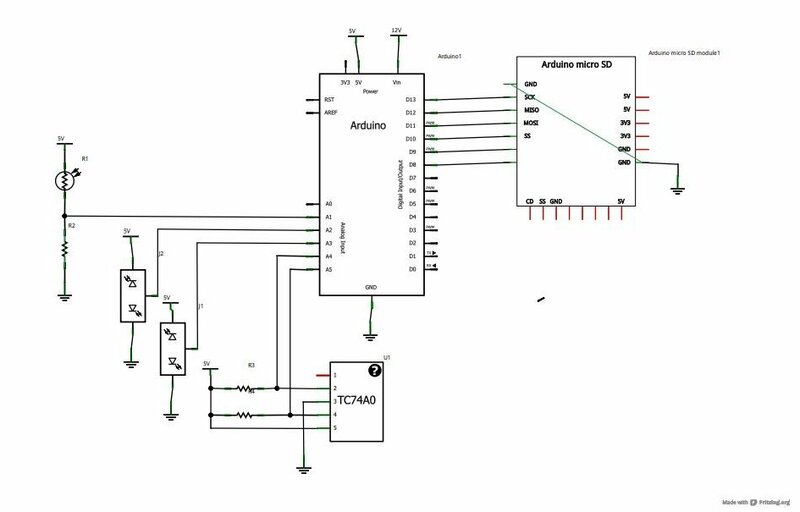 Download the schematics and source code first so you can reference them while you watch the video. For the first time, I’m using fritzing to draw the circuit schematics. So, take a look at them, and let me know what you think!